It is thought that the Birman cat breed has its roots deep in Burma where they were kept by burmese priests and considered to be sacred cats. There are a few legends surrounding the Birman cat, one of which states that a Birman cat once saved a sacred temple from destruction. 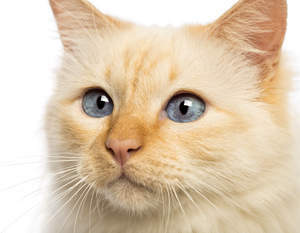 Another legend tells the story of a pure white cat with golden eyes that guarded its holy priest master. 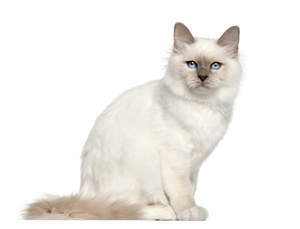 When its master passed away it is believed that the priest’s pure soul was passed into the cat and is why the Birmans feet are completely white. In the early 20th century it is thought that two of these cats- one of whom was pregnant- were taken from Burma and transported to France. 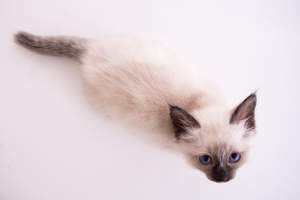 It is from here that the breed truly developed into what it is today. 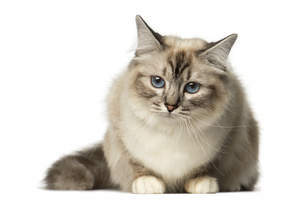 The Birman cat was first recognised as a breed in 1925, however the breed suffered through the second world war and there were only a few individuals left in France. After the war breeding programmes were set up to try and bring the breed back from the brink. 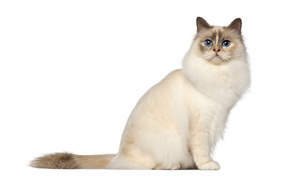 Thankfully these breeding programmes were successful and today the Birman is a popular breed. 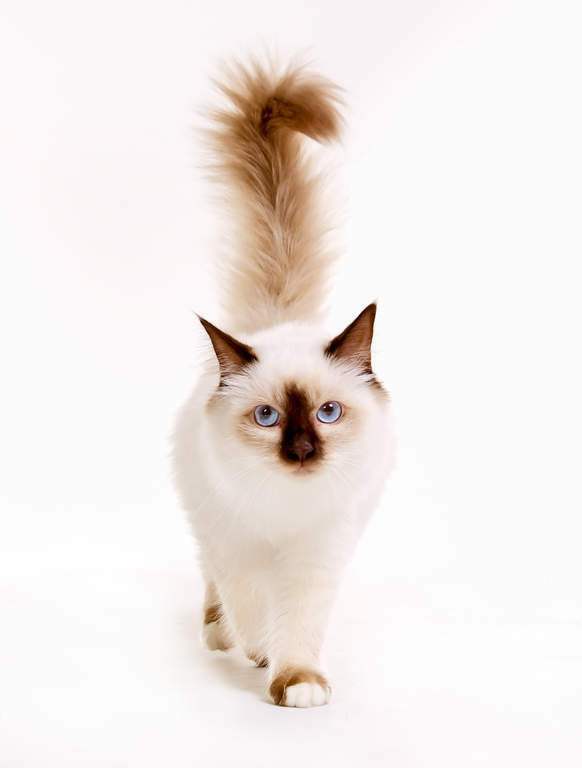 The Birman cat is a relaxed, gentle, but affectionate cat. This cat has a laidback nature and will be happy living on its own or with other cats and pets. 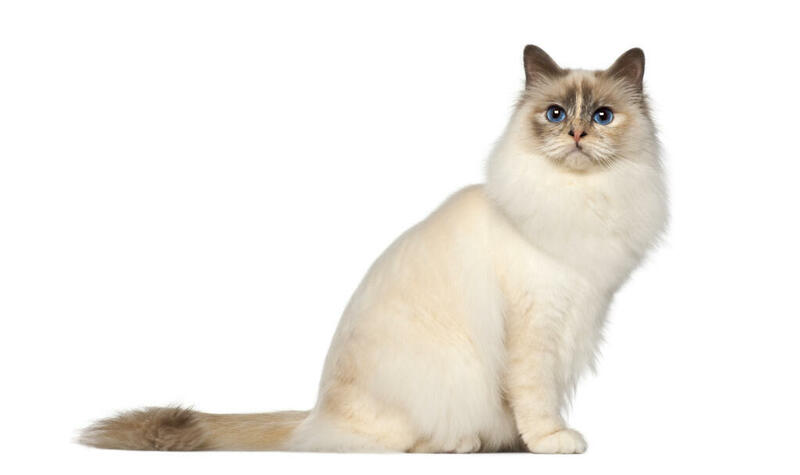 Birmans can be chatty with encouragement but many individuals are quiet and calm. This is an affectionate breed that will happily curl up on its owners lap and enjoy being stroked. All colour points with white feet.